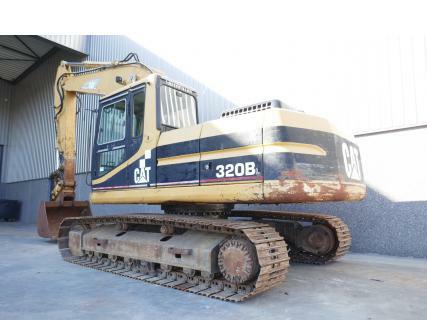 Caterpillar 320BL Excavator, cab, 6 cylinder turbocharged Caterpillar 3066 engine with 132HP (99kW), mono boom, 2.90 Mtr stick, hammer lines, check valves, GP bucket with teeth, hydr. quick coupler, undercarriage on average 75% remaining, 600mm triple grouser pads, work lights, CE marked. Machine comes straight out of work and is in clean condition. Inspections are welcome.